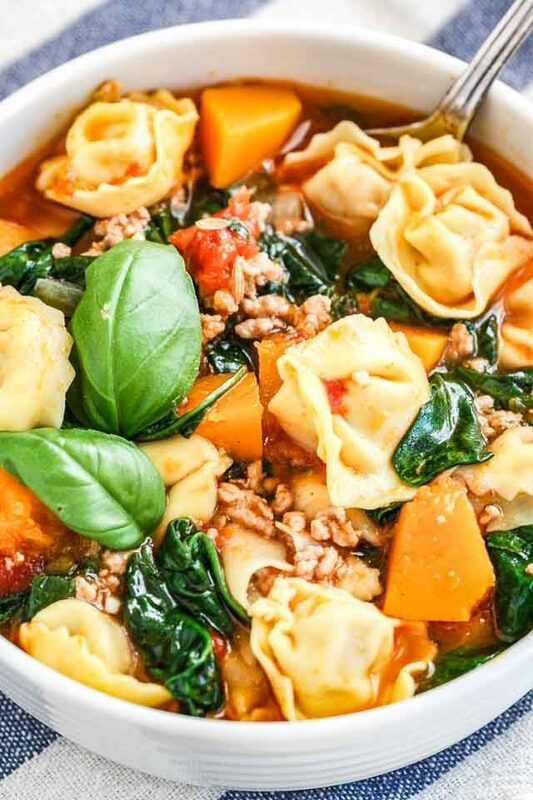 Spinach Tortellini Soup is so easy to make and filled with tortellini, fresh basil, Italian sausage, spinach, and butternut squash. 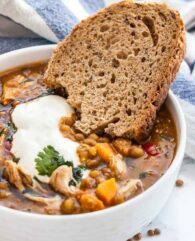 A simple and satisfying comfort food recipe that is ready in half an hour and perfect for cold evenings! 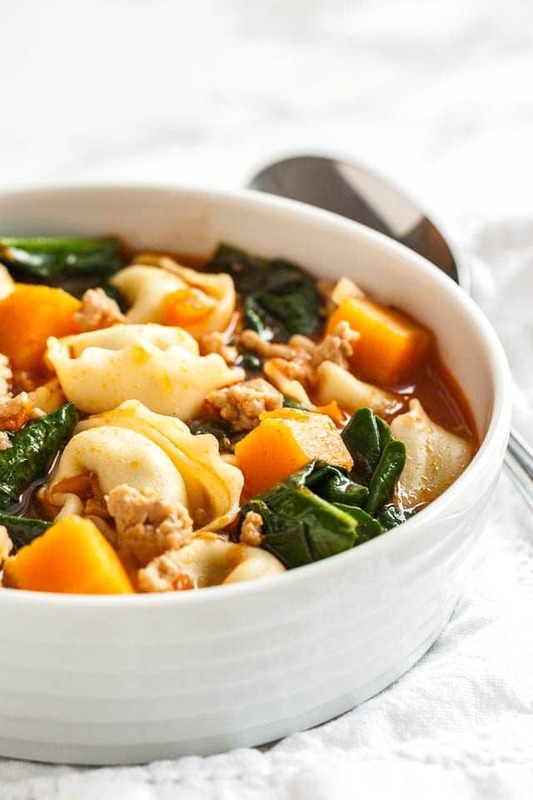 This delicious and hearty Tortellini Soup with Spinach and Sausage is easy enough for a weeknight meal. Loaded with healthy vegetables, fresh herbs, and flavorful sausage you can have this warming one-pot soup on the table in less than 30 minutes! 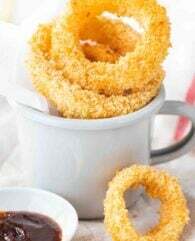 We’re huge fans of bowls of comfort food during the cold wintery months! Warming meals like hearty soups, stews, and chili are a favorite in our house. One of my favorite things about soups like this veggie and noodle soup is that they fill you up and make a satisfying meal while all the added veggies make it a healthier option. If you love chicken noodle soup you’ll love this colorful, hearty soup! My Italian Sausage Tortellini Soup is so easy to make from scratch and one of the best soups that you will make this winter season. 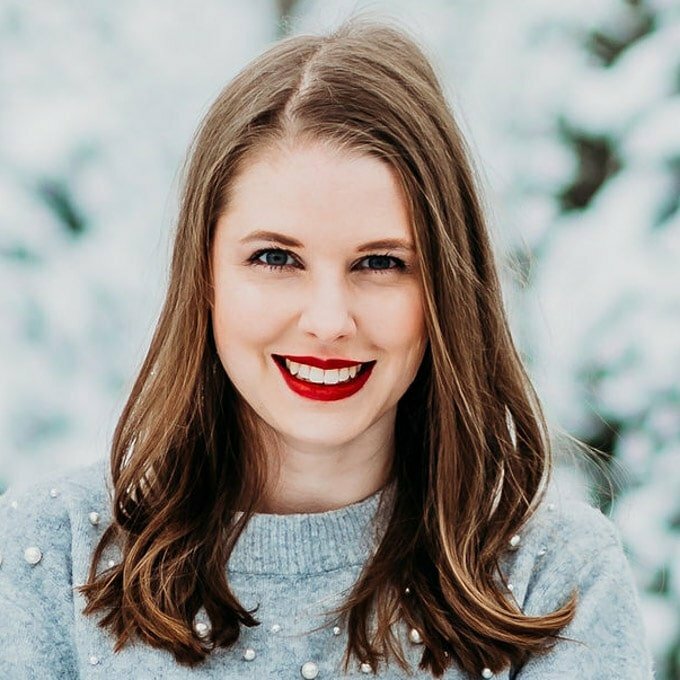 A delicious, warming meal that your whole family will love! Pre-peeled and cut butternut squash from the grocery store works too! Perfect for busy days. 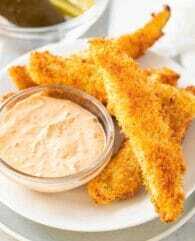 Instead of butternut squash, you can also use any other vegetable like cubed carrots or zucchini. Use your favorite variety of tortellini for this recipe! I love it with three cheese tortellini. 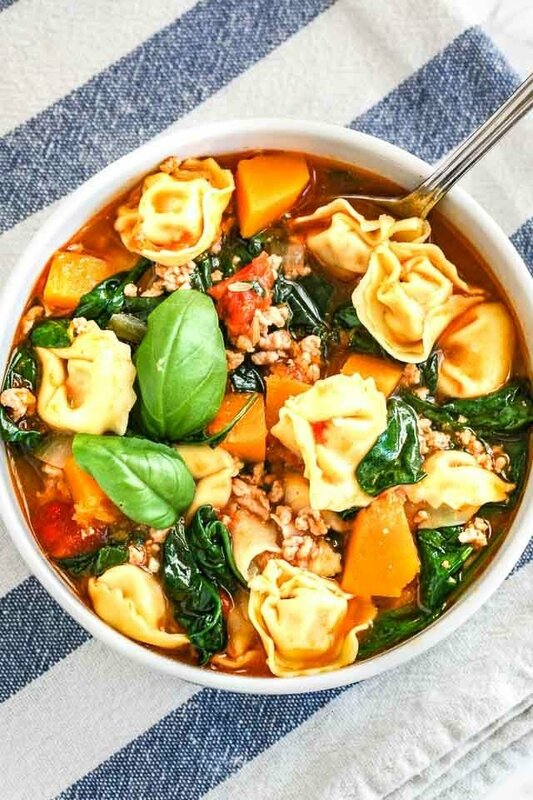 A mixture of plain and spinach tortellini adds even more color to the soup. You can use fresh or frozen baby leaf spinach for this recipe. If using frozen add the spinach prior to adding the tortellini and cook according to package instructions. When the spinach is almost done add the noodles. Tortellini soup (Tortellini en brodo) is an Italian classic that is traditionally served as the first course on Christmas. 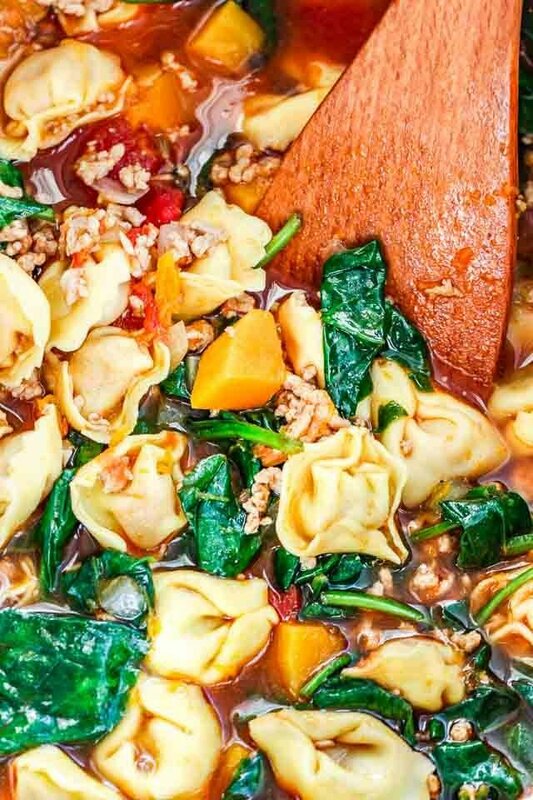 It consists of tortellini and a flavorful broth. This modern version is made with healthy veggies and hearty Italian sausage to transform it into a standalone meal that’s satisfying, full of nutrients and so flavorful. 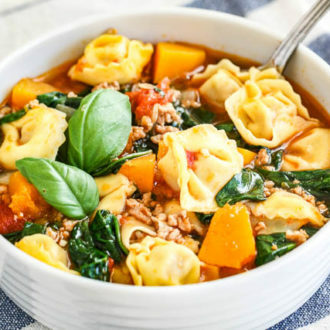 A warming, healthy tortellini soup perfect for cold winter nights! 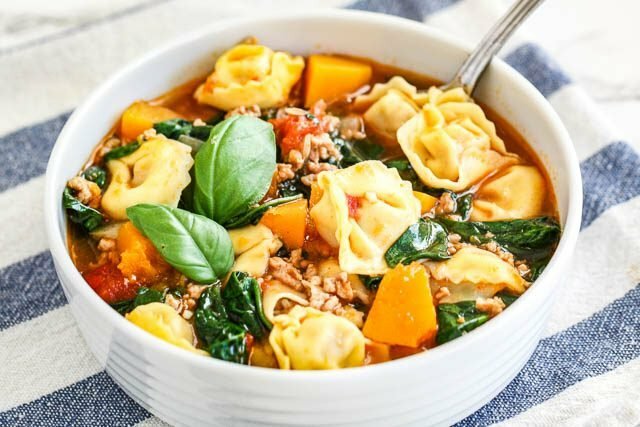 Serve this tortellini vegetable soup with slices of rustic bread and a side salad to make a complete meal. 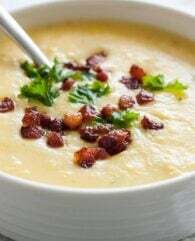 A colorful winter salad like my Pomegranate Pear Salad or a simple Italian Caprese salad would make a great addition to this flavorful soup. 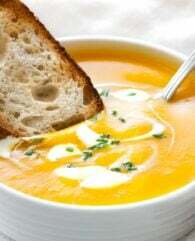 Place individual portions of the cooled soup in freezer containers and freeze for up to 3 months. 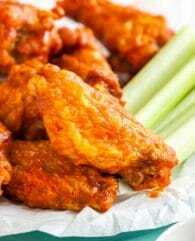 To reheat, partially thaw in the fridge overnight. Then heat through in a saucepan, stirring occasionally and adding a little broth if necessary. This peeler makes peeling Butternut Squash so much easier and quicker! 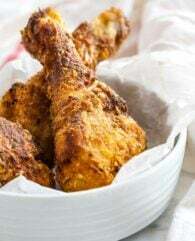 Stockpot: You need a large enough stock pot for this recipe. I like to use a pot like this one because it is perfect for large amounts! In a large saucepan heat olive oil over medium-high heat. Add onion and saute for 2 minutes until golden brown. Add garlic and cook for 1 more minute. Add ground pork (or Italian Sausage) and cook, breaking it up as you go, until it turns from pink to white. If using ground pork add seasonings and cook for 2 more minutes. Add cubed butternut squash and cook for 2 more minutes. Stir in the chicken broth and diced tomatoes. Bring to a boil and let simmer for 10 minutes. Add tortellini and cook according to package instructions., stirring occasionally. When the tortellini are almost done, lower the heat and add the spinach and basil. Cook until spinach is wilted and tortellini are tender. Season with salt and pepper. Sprinkle with parmesan and serve. I just made this soup today. We enjoyed it and thought it had a good combination of flavors. Thanks! Yay, so happy you enjoyed it, Nicole!